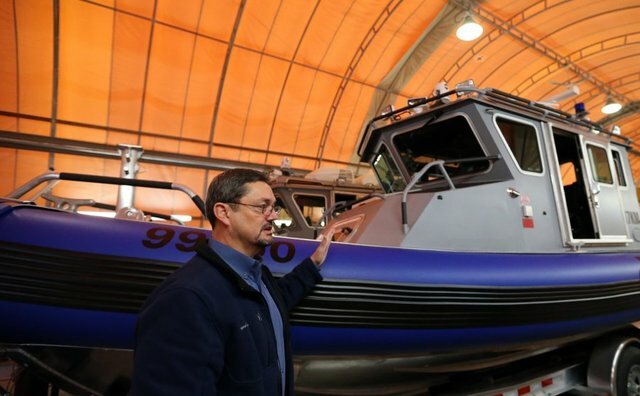 Bremerton’s SAFE Boats International has produced a new Coast Guard support vessel specifically designed for use in arctic conditions. The new CB-OTH-IV POLAR was recently delivered to the 420-foot icebreaker USCG Cutter Healy, according to a company news release. 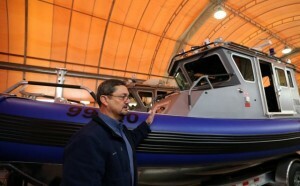 The support vessel is a modified version of the 26-foot Cutter Boat-Over The Horizon-IV that SAFE Boats is producing for the Coast Guard on a long-term contract. The POLAR version features a reinforced hull, SAFE Boat’s collar floatation system, communications equipment, and launch and recovery hardware. The boat is powered by a 480-horsepower engine and water jet drive. 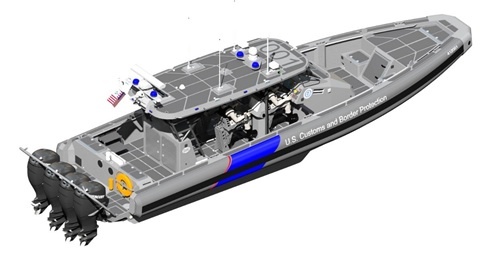 “We are very pleased to continue our long history of partnership with the U.S. Coast Guard in providing them a new platform that will allow the women and men serving on forward deployed ice breakers to better accomplish their mission,“ SAFE Boats CEO Dennis Morris said in the release. The Seattle-based Healy is primarily an arctic research vessel. It carries a 4,200-square-foot laboratory and accommodations for up to 50 scientists. The Healy can break through 4.5 feet of ice at a speed of three knots, according to its official page.